If you’re looking for a pure gaming mouse, there are better options in the Rival 600, Logitech G703 and Wireless G Pro for medium sized hands. The G903 packs pretty much every feature a mouse could have. The spec sheet looks great, the shape is a little bit awkward for gamers. Get this mouse if you have large hands and like longer mice, and you definitely need a productivity mouse. 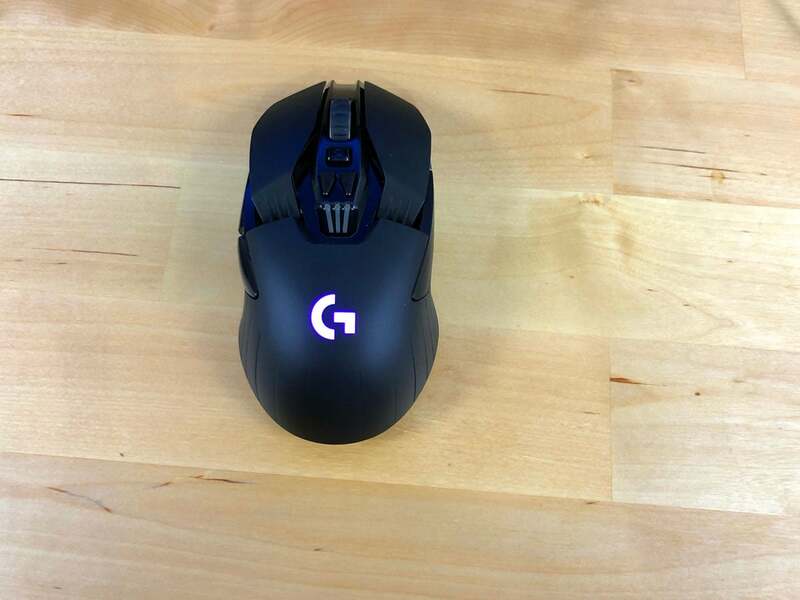 The shape of the G903 is very distinct, it’s a large ambidextrous mouse with a lot of ridges and edges. The closest mouse size wise is the Rival 600, but the Rival 600’s ergonomic shape and sloping design make it a much easier mouse to handle for the average sized hand. The G903 measures in at 13.03 cm length, 6.65 cm in width with a height of 4.04cm. The shape is consistent throughout the mouse with the width and height of the mouse staying pretty much the same from front to back. The grips recess slightly but with the weight of the mouse and the lack of rubberized grips I found the mouse a little more cumbersome to pick up than the Rival 600 or G703. With medium sized hands, I only find the mouse comfortable to use in a claw grip, the length and height of the mouse makes it very difficult for me to palm grip it. We’d recommend this mouse to medium claw grippers and large palm grip users, this isn’t going to be the most comfortable mouse you’re going to come across most likely. The mouse is made of a matte plastic, it feels nice in the hand and hasn’t gotten shiny over extended play periods. The sides of the mouse when gripped hard does flex a little bit, kind of disappointing for a mouse at this price point. The scroll wheel has a left and right click, so when shaken the wheel does rattle, not a huge concern. The bottom of the mouse features 4 well-sized feet, the feet are comparable to the G703 in terms of slickness and serve the mouse well. Overall the mouse has a very aggressive gamer aesthetic with sharp lines and a thanos-like inset on the heel of the mouse. The G903 packs in the ever-present PMW3366 sensor and weighs in at 110 grams with an optional 10 gram weight. Of course, with the PMW3366 the G903 tracks perfectly with no acceleration, no prediction, jitter and no angle snapping. Since the G903 is wireless, there’s no cord to contest with on the mouse pad. The G903 can be used in wired mode while charging, we wouldn’t recommend it as the cord is the standard super thick braided Logitech cable. As with all recent wireless Logitech mice, the G903 has a wired-like lag-free response time. 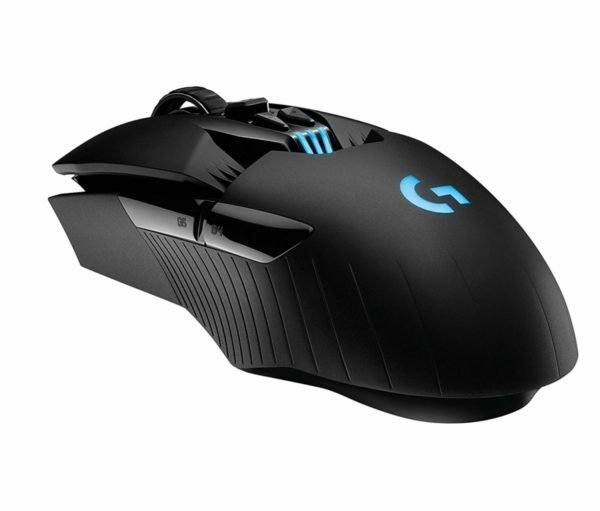 If you like the shape or can get used to it, then the G903 will serve really well in a competitive setting. I personally tested this mouse in Overwatch and it helped me climb a decent amount of SR. The Logitech features the standard 50 million click rated Omron switches for the primary buttons, the implementation of these switches in the G903 is fantastic, whatever Logitech is doing with their tensioning system is working, these are top tier buttons. No comfort grooves on the primary clicks contributes to the general discomfort I had using this mouse. The middle click on this mouse is another story, the scroll wheel button feels mushy and dense, it’s a fatiguing button. At first, I thought this was due to the G903 featuring side click ability as well on the scroll wheel, but when comparing to the G502, that middle click button feels much better despite having all the same features as the G903. The side buttons on the scroll wheel itself are pretty good, much better than the G502’s implementation which feels a little wobbly and unstable. 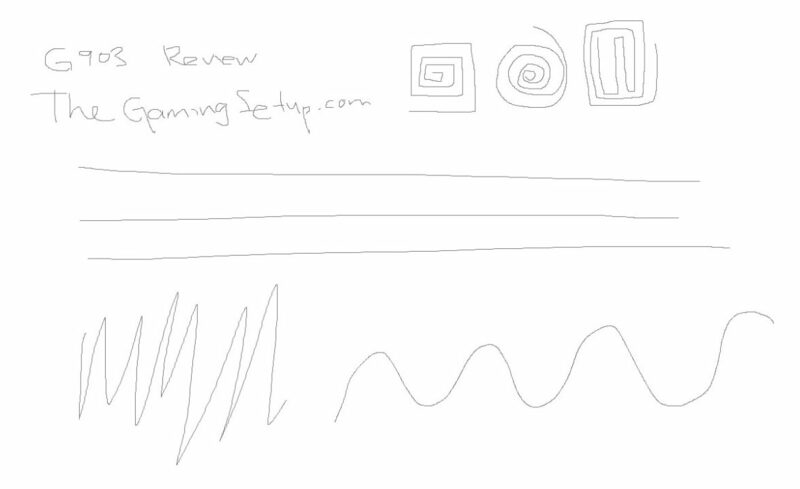 The scroll wheel itself is great, steps are distinct without being overly loud. The infinite scroll on the G903 is a standout feature, just below the scroll wheel, a toggle button keeps the scroll wheel from scrolling indefinitely, if you hit that button to release the lock you get a smooth long scroll, perfect for browsing long pages and scrubbing through video files, less useful in gaming applications. The removable side buttons on the G903 are good, they’re well placed and have the right amount of tactility and travel. You can put side buttons on both sides of the mouse or just one, your preference. The G903 features two buttons below the scroll wheel with the default function of stepping up and down DPI, they’re well placed and could be used for other functions like weapon swapping or skill hot keys. Being a wireless mouse, the RGB on the mouse is fairly basic with one illuminated G icon. The battery life is very good for a wireless mouse packing this much technology, with RGB on the G903 will last roughly 24 hours, 32 hours with the RGB lights off. You can still use the G903 in wired mode to charge while gaming, or you can buy the Logitech Powerplay mouse pad to charge this mouse wirelessly. The weight system is basic for the G903, just a 10 gram weighted disc that can be placed into bottom of the mouse. 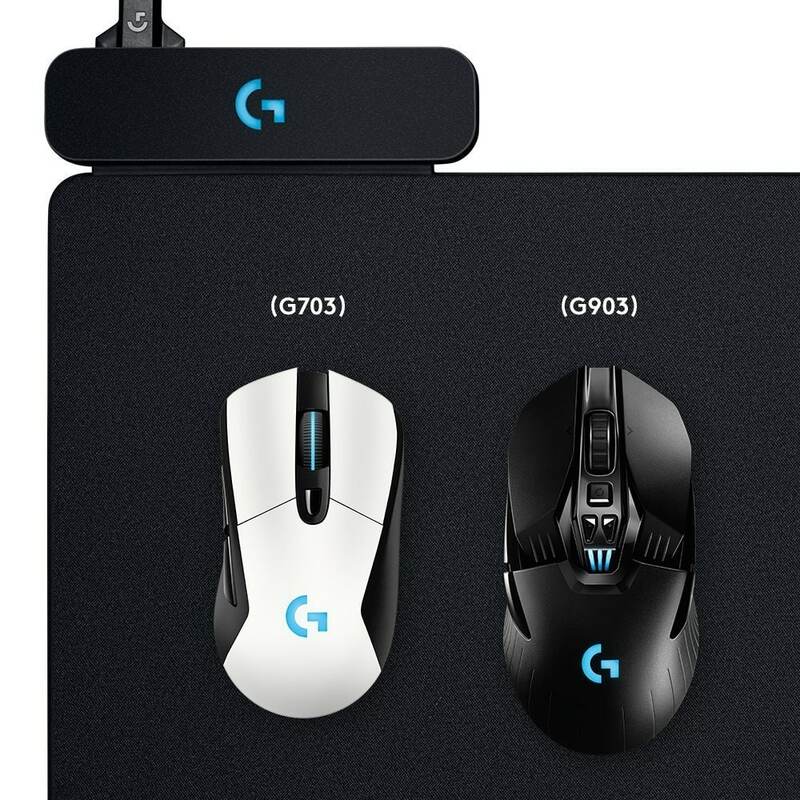 These mice are exactly the same with the exception that the G903 can charge wirelessly via the Powerplay mouse pad, if you aren’t going to be picking that up and don’t care about wireless charging then you can get the G900 and save some bucks knowing its almost the same mouse as the G903. The G903 also comes with an optional 10 gram weight that the G900 doesn’t have if that matters to you, but I’d recommend you not using the extra weight. The Logitech G903 is backed by a 2 year warranty. 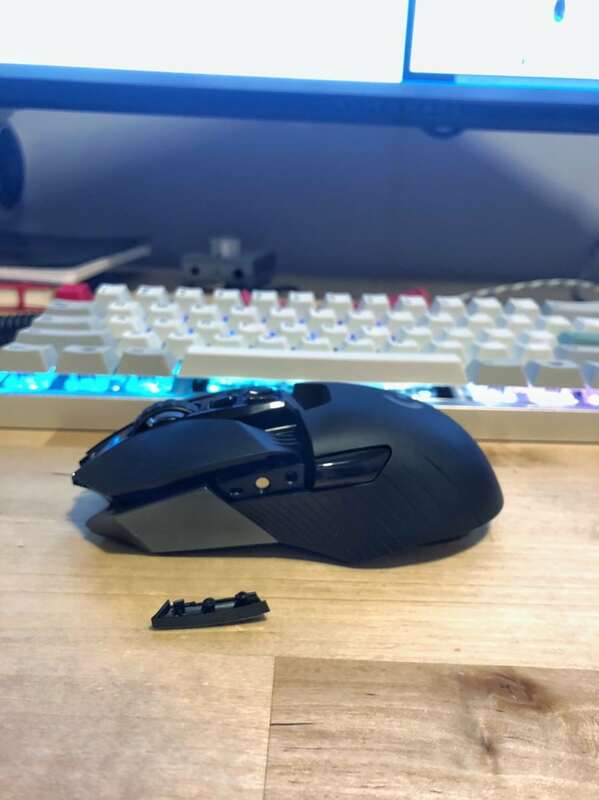 Logitech’s warranty is usually superb, my G403 scroll wheel started to act randomly and Logitech replaced the mouse with a G703 very quickly. You can buy with confidence when dealing with Logitech products. 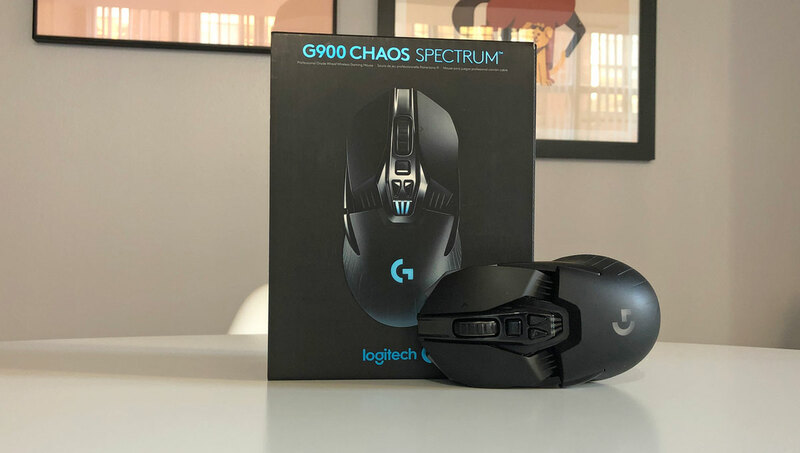 The G903 was previously the only good wireless ambidextrous option on the market, the newly released Logitech G Pro wireless might be an improvement in a lot of parts where the G903 excels. At its higher price point, you should only look into getting this mouse if you know you’ll make use of all the extra button options or if you’re left handed and want a solid wireless mouse. It’s going to be a mouse that’s good but not the best at FPS that can operate more effectively than a standard 5-6 button mouse for MOBAs and MMOs. The shape is what holds this mouse back the most, it’s not going to be the most comfortable mouse you try right off the bat. If this shape is your thing, then the rest of the mouse is essentially perfect. If you don’t like the shape though, then I’d recommend you go check out our best mouse list and find an alternative there.